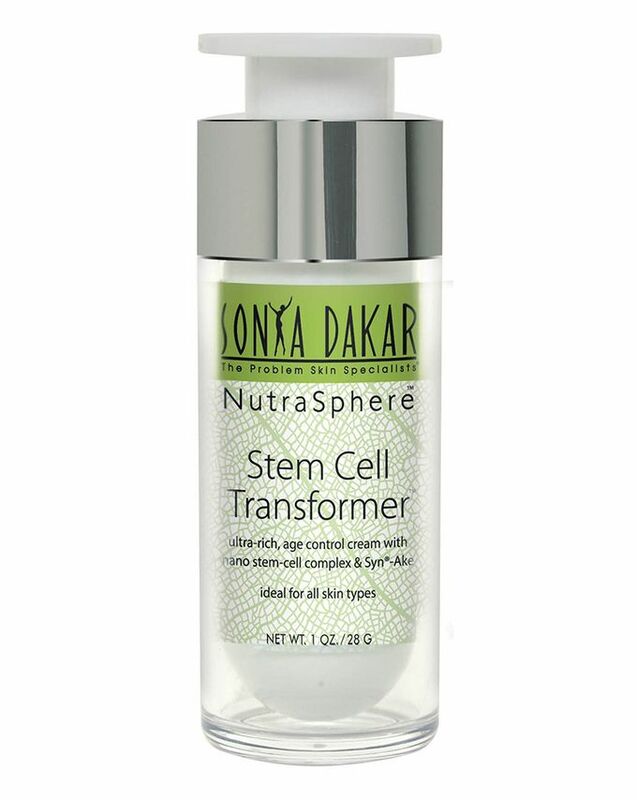 Starring a concentrated blend of 14 anti-ageing actives, Stem Cell Transformer utilises breakthrough cell-rejuvenation technology to brighten, tighten and dramatically enhance skin’s moisture levels. The result? Up to a 52% reduction in fine lines and wrinkles, and a dramatic increase in skin’s luminosity. Beverly Hills-based Sonya Dakar is the secret behind Gwyneth's gorgeous glow, as well as being the A-list's go-to guru – tasked with transforming their skin to guarantee they're constantly Red Carpet-ready. 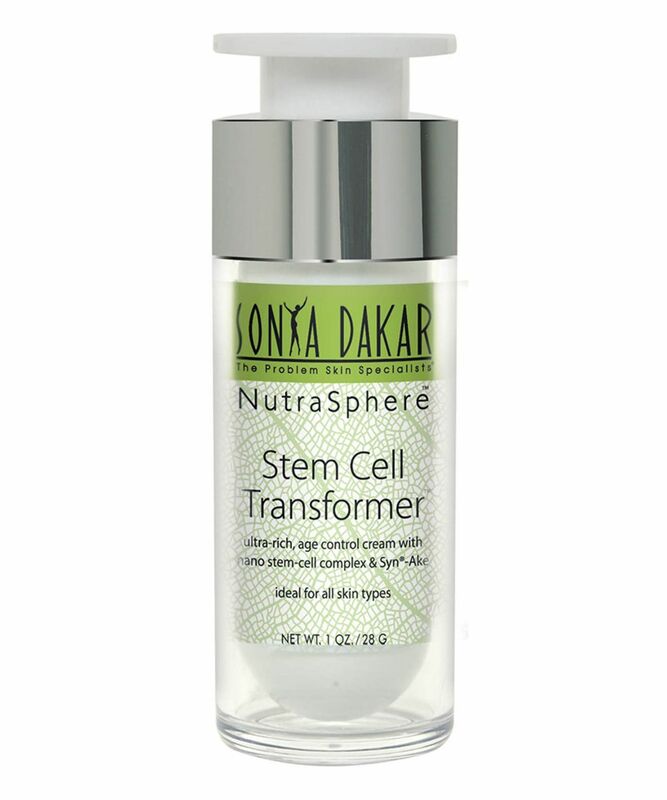 A luxurious anti-ageing treatment, Stem Cell Transformer is a cornerstone of Sonya Dakar’s signature ‘Apple Stem Cell Facial’ - as loved by the likes of Gwyneth, J-Law (and co.). 98% natural, this rapidly tackles all primary signs of skin ageing – discolouration, wrinkles, loss of firmness, decreased density – with a supercharged cocktail of green apple stem cells, antioxidant resveratrol and snowdrop extract, all of which are proven to support your cells’ regenerative processes. The inclusion of Syn-ake (synthesised snake venom) then behaves a bit like ‘Botox’ – minimising micro-muscular contractions which in turn, reduces visibility of furrows. Apply to clean skin every morning and evening. Follow with your favourite Sonya Dakar moisturiser. Water, Carthamus Tinctorius (Safflower) Seed Oil, Glyceryl Stearate, Hydrolyzed Ceratonia siliqua Seed Extract, Cetearyl Ethylhexanoate, PEG-100 Stearate, Propanediol, Dimethicone, Simmondsia Chinensis (Jojoba) Seed Oil, Persea Gratissima (Avocado) Oil, Euterpe Oleracea Fruit Oil, Sucrose palmitate, Caprylic/capric triglyceride (Coconut Oil), Glyceryl linoleate, Commiphora mukul resin extract, Sodium Hyaluronate, Tocopherol, Citric acid, Tetrahexyldecyl Ascorbate, Lavandula Stoechas, Dipeptide Diaminobutyroryl Benzylamide Diacetate, Hydrolyzed Myrtus communis Leaf Extract, Glycerin, Leucojum Aestivum Bulb Extract, PEG 150 Distearate, Mauritia Flexuosa Fruit Oil, Triethanolamine, Polyacrylamide, C13-14 Isoparaffin, Laureth-7, Carbomer, Resveratrol, Hydroxyethyl Behenamidopropyl Dimonium Chloride, Polyquaternium-67, Malus Domestica Fruit Cell (Green Apple extract), Xanthan Gum, Phenoxyethanol, Caprylyl Glycol, Ethylexyglycerin, Hexeylene Glycol, Natural Essential Oil Blend, Lecithin, Rh-Polypeptide-7 (HGH from organic botanicals), Sodium Phosphate, Sodium Chloride, EDTA. Firstly, this is not a serum; it is clearly a cream. As a cream it smells extremely potent in a botanical sort of way. I usually think that is a good sign. I always think that to review the results of a product, one needs to give it consistent use over a period of time. With this product that will not be happening. The economy is shocking if I am honest! Usually when I read a positive review of a high end product, a comment along the lines of 'spreads really easily ... a little goes a long way ... lasted me several months' makes an appearance. This product lasted me less than 3 weeks. The CREAM seems to rather dissolve and, while this does mean it isn't at all heavy on the skin, it also means that a little certainly doesn't seem to go a long way. The packaging, as I have found with another product in this range, is also rather cheap and prone to malfunction. Sorry! When I read about this product range I was excited, but I'm not going to become an advocate any time soon with this kind of economy!